A LOVED-UP couple who carved their names into the top of one of the Glass House Mountains has sparked anger online about the environmental vandalism. 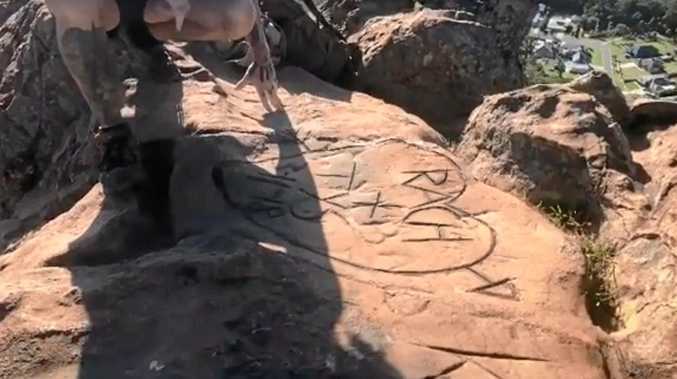 Facebook page Wildman Adventures featured a video with host Damian Duffy on the top of Mount Ngungun expressing his anger at the couple for defacing the mountain. "Absolutely spectacular view up here, and an incredible place," he said. "It's a very natural place, a lot of natural beauty. But some people decide that that is not enough and they have to leave their f***ing mark on the landscape. A large, heart-shaped carving with the names "Rach" and "Tys" shows the date November 3, 2018. "Some f***wits have decided to bring a battery-powered angle grinder up here and grind their f***ing names into the rock," Mr Duffy said. "Have a bit of respect for where you are, and maybe grow a brain." According to guidelines on the Department of Environment and Science website, everything within the Glass House Mountains national park is protected. A DES spokesperson said Queensland Parks and Wildlife Service took the vandalism of protected areas very seriously, and strong penalties applied. Should there be harsh penalties for environmental vandalism? People wouldn't know there are penalties. "In a national park or protected area, everything is protected including the soil and rocks, and it is an offence under the Nature Conservation Act 1992 to take, use, keep or interfere with a cultural or natural resource in a protected area," the spokesperson said. "The maximum penalty for this offence is $391,650 or two years' imprisonment. "QPWS will take a zero-tolerance approach to anyone who permanently marks or destroys our protected landscape." 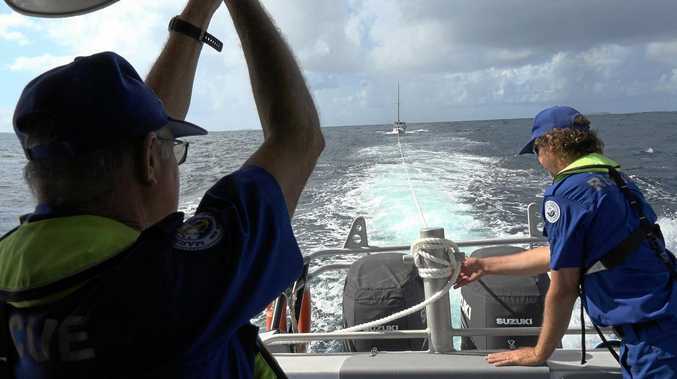 The spokesperson said Mount Ngungun was a spiritually significant site to the Kabi Kabi people, and it was "disappointing" that some visitors failed to see the long-term impacts that their actions could have on a natural area.